NAIROBI, Kenya – July 21, 2016 — In a #STEM4girls Pan-African campaign, the Miss.Africa program is mobilizing a Round II Seed Fund for Tech initiatives in Africa that will avail small grants to support women and girls in the Science, Technology, Engineering and Mathematics (STEM) fields to launch or expand their own initiatives that will increase digital opportunities in IT related training, jobs and leadership roles. The Miss.Africa program led by DCA Academy and in partnership with eMobilis, is able to train over 25 girls in mobile and technology for the year 2016. This is the second round of announcement for Miss.Africa Seed Fund. 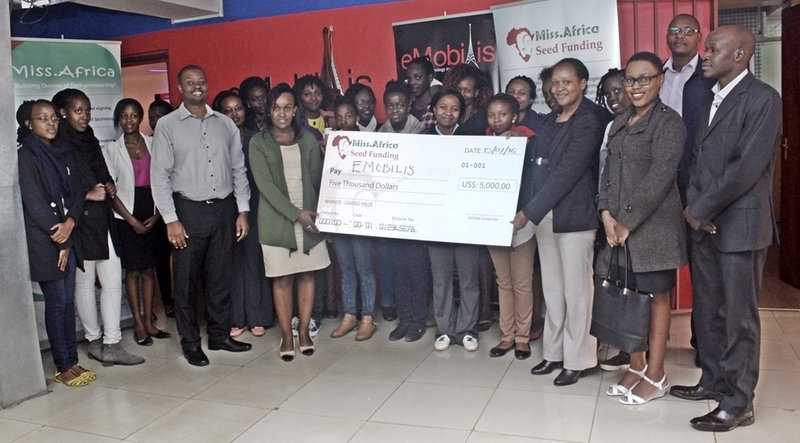 The winner of the first round eMobilis, is a Kenya based Mobile Technology Institute that focuses on training women & girls on Mobile Software Development and Network Infrastructure, which emerged as the grand prize winner of the inaugural Miss.Africa Seed Fund for an amount of USD 5,000. Twenty Five (25) women selected from over three hundred applicants will benefit directly by receiving training from eMobilis. The two other winners for the USD 1000.00 prize were a Madagascar based Tech start-up MDG/Pyladies Antananarivo and Pycon Cameroon, a start up that teaches computer coding to girls and women. The Seed Fund is a sum of Seven Thousand United Stated Dollars (USD 7000). DCA Trust received an overwhelming number of applications of over 90 applicants from more than 18 Countries in Africa across the African continent and anticipates a big turn of applications for the 2016 phase. This Pan-African program is interested in learning about successful activities that are currently supporting women and girls in STEM and through this effort, we also identify how we might support scalability and their impacts. The 2016/17 Seed Grant for the amount Five Thousand US dollars ($5,000) will assist the winning participant to start or expand their capacity, while two other participants will receive a One Thousand US dollars ($1,000) grant, based on a mix of demographics and efforts that qualify under our program.